This quote has been on my mind often over the past days, weeks, months, and sadly, years—as senseless acts of violence and hatred hit the headlines at a numbing pace of regularity. This past Friday was no different, as we all awoke to the horrific news from Dallas, during a week when the country was already reeling from news of the deaths of Alton Sterling and Philando Castile. We’re also seeing an alarming spike in hate crimes and xenophobia in the UK after ‘Brexit’ that correspond in unsettling ways to divisive rhetoric and acrimonious tone of Republican nominee Donald Trump’s presidential campaign. All of this as we are still processing the Pulse nightclub attack in Orlando, where 49 individuals lost their lives. I think in moments like these, it’s important for museums—and the people who work for them—to pause and reflect on the roles that we serve within our communities. Yes, museums are institutions that hold collections. But they can also serve a powerful role with our communities as active spaces for connection and coming together, for conversation and dialogue, for listening and sharing. Museums can be spaces for individual stories and community voices. 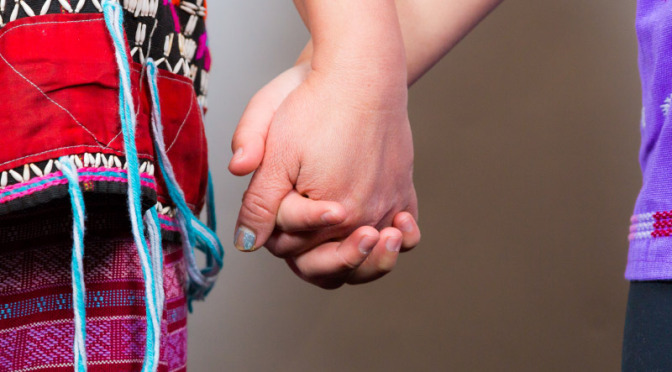 They can be a space for acknowledging and reflecting on differences, and for bridging divides. They can be spaces for growth, struggle, love, and hope. But we can’t give up hope. Despite the suffering and death we witness each day, our work is making the world better. I see it all the time. I am motivated every day by learning about the amazing programs you make possible, and by getting to know the kind of people you are and the kind you inspire others to be: thoughtful and compassionate and hilarious, full of hope and love and joy and creativity and the belief in a world that is possible. Our community is becoming stronger and more beautiful because of you and all you bring to it, even during difficult days when none of us know the answers. We must keep trying, even when we don’t know all the right words or all the right actions, even when we make mistakes. 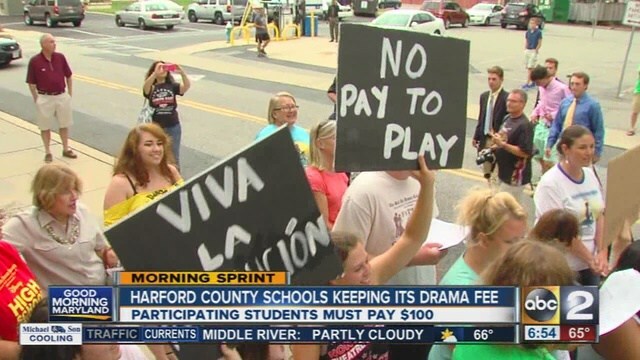 According to several members of the community apprised of the plan, which has not yet been formally issued, at Harford schools, students will be charged the fee if they want to perform – offstage participants are exempted, creating two classes of theatre kids. Students will be charged the fee per show, so if they appear in a play in the fall and a musical in the spring, for example, it will cost their parents $200. Students at Emerson College, for instance, are responsible for Wikipedia’s “Theatre and disability” page. The encyclopedia article on minor depressive disorder was revamped by a student at North Dakota State University. And if you ever look up the Wikipedia page on vaccination policy — a hot topic in our current political climate — most of what you’re reading sources from a sophomore-level chemistry class at the University of Michigan.